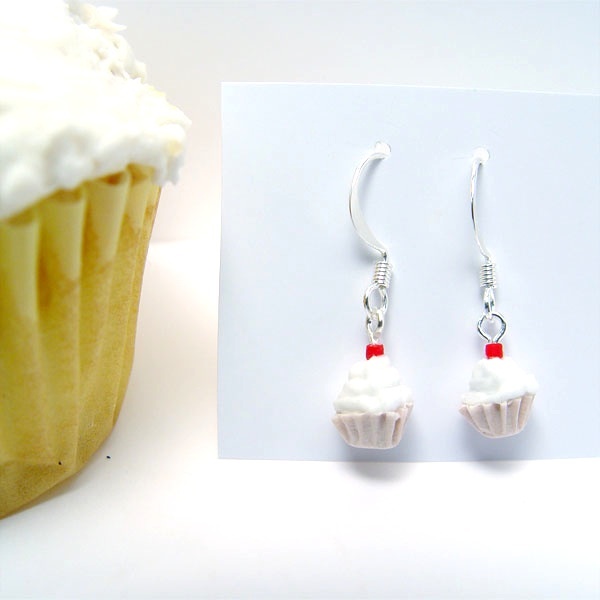 Cup Cake Earrings w/pink wrapper. These are handcrafted cup cakes made from polymer clay and are 1/4" wide. The cup cake has a real paper wrapper on the outside. With artificial frosting and a cherry on top they look good enough to eat! They come on silver plated shepherds hook earrings. This is a must have for anyone who loves cupcakes or needs something different. Each set is handmade and unique.